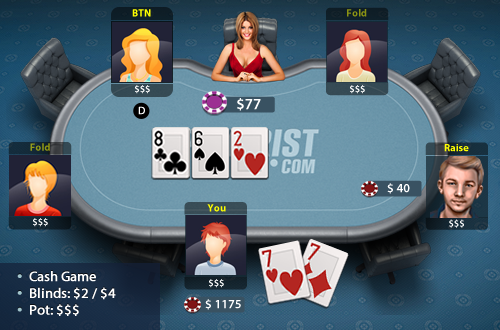 You’re playing a 5 handed $2/$4 live cash game with $1200 in front of you and you open to $25 from CO with 77. You get called in 2 spots from the button and the big blind. The flop comes 862, no flush draws out there, the big blind leads for $40.